We kindly invite you to participate in the 21st International Conference of the Catalan Association for Artificial Intelligence (CCIA 2018) that will take place on 8-10th October 2018. 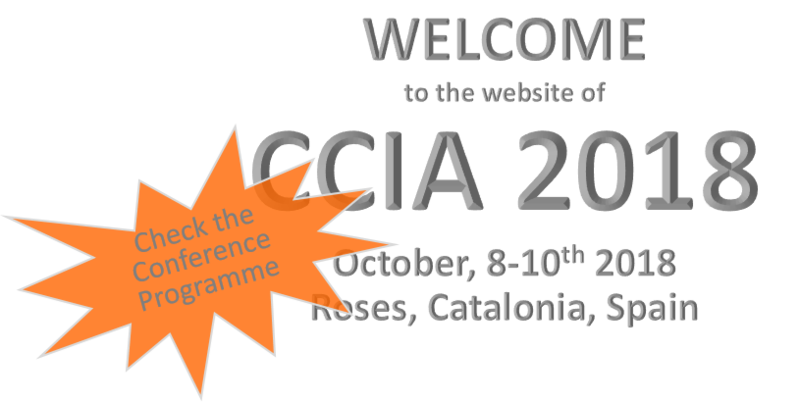 Since CCIA is the usual meeting point of the Catalan AI scientific community, this CCIA edition is also hosting the first commemorative activities of the 25th anniversary of the foundation of the ACIA (Catalan Association for Artificial Intelligence), which will start in an specific act at the conference and will continue all along the 2018-2019 academic course. 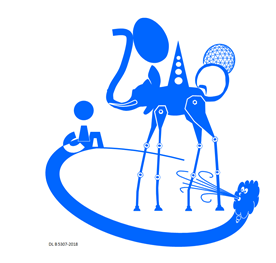 The organizing committee has the pleasure to organize this edition of the conference in the region of the Alt Empordà, a wonderful area in the northern part of Catalonia, lying on the beautiful Bay of Roses, one of the nicest Mediterranean places. We hope you can get fruitful scientific discusions while enjoying one of the most charming regions in Catalonia. In this website we will keep providing relevant information about the conference, the venue, the activities we are preparing for both attendees and accompaning persons at both scientific and social levels and we hope you will have a nice experience sharing these days with us, and with ACIA community.